Ever had that feeling when you wanted to go for shopping but you just couldn't because your kids are with you? Of course, bringing children along during shopping especially the toddler ones is such a big no-no because you're bound to be getting a major headache if you do. For one, they might get lost in the crowd (you might panic at some point), they will definitely ask you to buy something for them--a toy that they've just seen or some food they'd fancy and by doing so cuts down your shopping budget and lastly, you might eventually lose that desire to shop simply because your mood has changed after seeing your own kid's tantrum if he can't seem to get his way. I'm sure most Mommies are able to relate to that scenario. 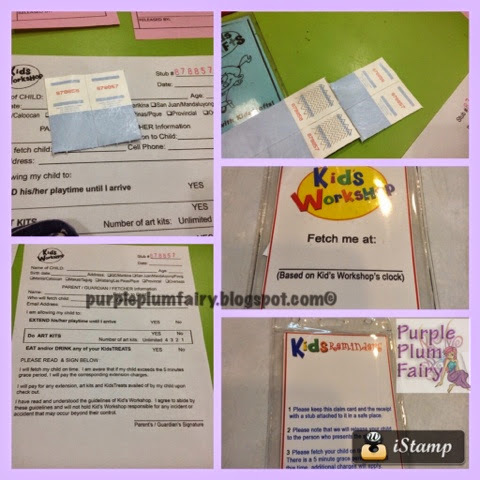 Well, finding Kids Workshop is similar to having a breathe of fresh air for mothers who used to have no choice but to tag their kids along each time they do an errand or shop. Kids Workshop is the answer to Moms' most common dilemma. 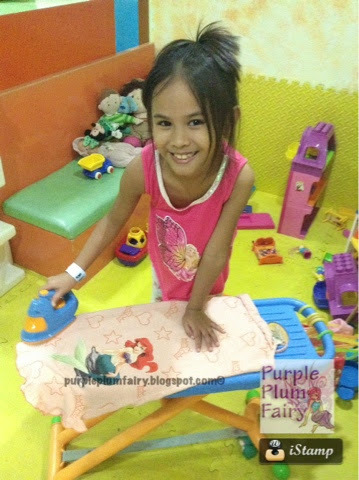 Tucked inside the heart of San Juan City's famous shopping area--Shoppesville, Kids Workshop was born out of mothers' love of their kids. Three mommies (whose kids all went to the same school, eventually becoming friends and business partners) felt the need for a place where they could safely leave their children as they run for daily errands, go to work or simply enjoy their "me-time". 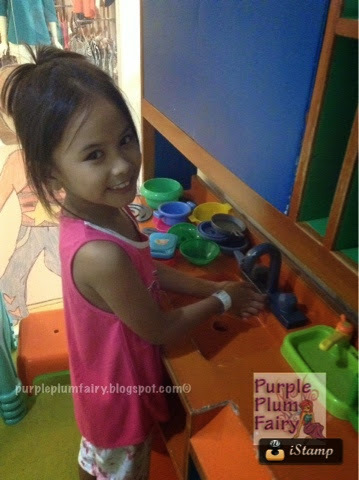 Unlike other kids activity center, Kids Workshop are very hands on with the kids who visit their place. "We completely understand that since parents had entrusted their kids to us, we always had to ensure their safety at all times as they enjoy playing. So if you'd noticed, although everyone could see what we're doing through the glass door and walls--our doors are locked, you have to ring the doorbell first if you'd like to come in," said one of the Kids Workshop staff. The Kids Workshop is a clean and safe place specifically made for children. 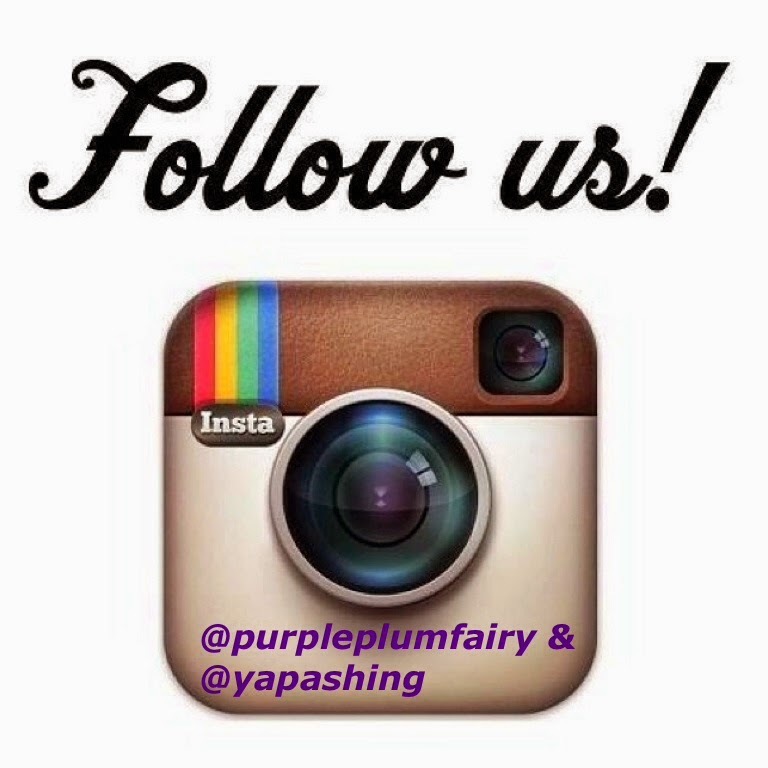 It's a place where they can engage in fun and creative activities under the supervision of a qualified staff. Kids can explore the hanging bridges, giant slides, monkey bars, do wall climb, swing and tumble down. They can imagine themselves as the captain of a ship, a homemaker--to whatever it is that their hearts desire! There's a lot of things to do and things to explore at Kids Workshop. 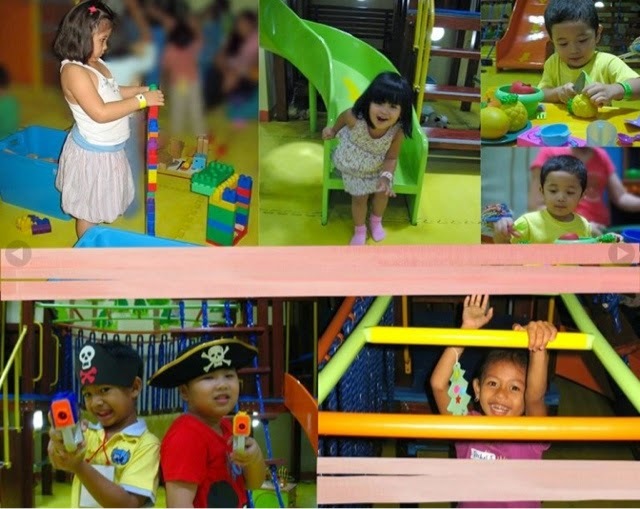 Toddlers and kids will not get bored as the center are filled with soft play areas for toddlers and a play frame for kids up to 12 years old. 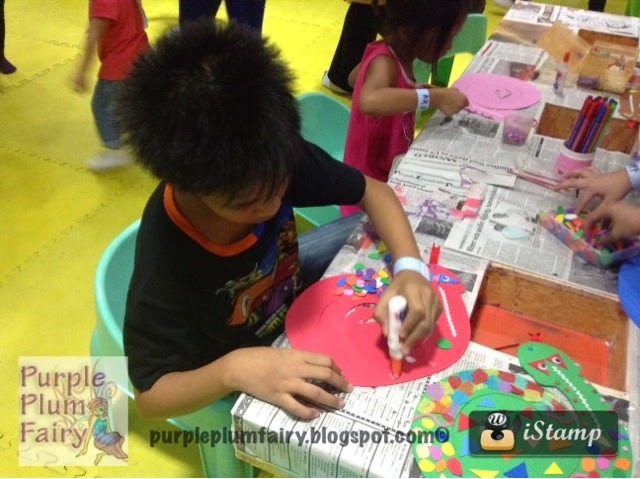 To make sure that the kids won't get tired from all the activities, Kids Workshop had different "themes" for all the kids to enjoy which they change every other month. At the time of our visit, it was "Enchanted Dessert". "Next month, we'll be having a theme based on bugs," said one of the staff. In terms of design, facilities, and accessibility, I'd say that Kids Workshop seems to have an edge. 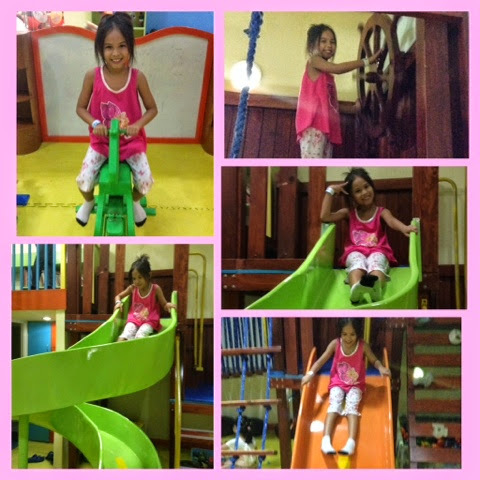 Fully air-conditioned indoor interactive play & party center with multi colored play structures. 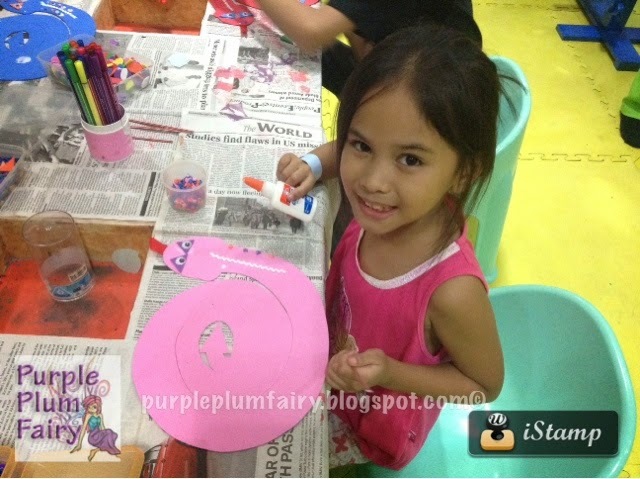 For an additional fee, kids can also participate in art workshops. 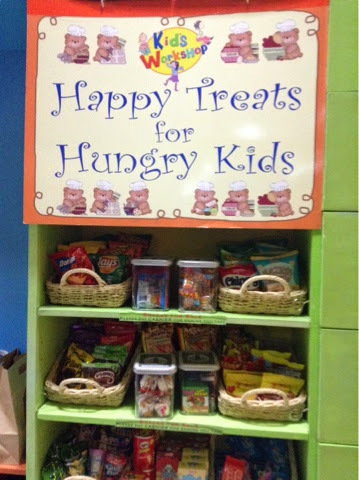 And Mommies need not to worry when their kids suddenly gets hungry as Kids Workshops has its own area called "Happy Treats for Hungry Kids" where kids can grab a bite or have a snack and take a short break from playing at the kids' lounge area. Parents can simply pay whatever it was that their kids had consumed when they fetch them later. All children entrusted to them are treated with love and respect. But for kids 4 years old and below, they must be accompanied by an adult. 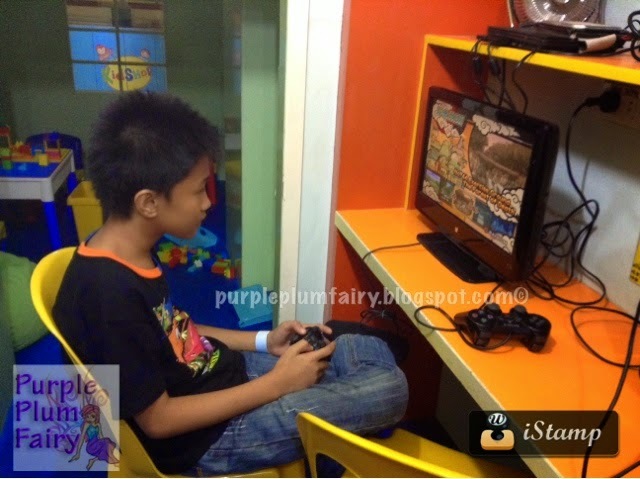 They can engage in a wide variety of activities and are supervised by their trained play monitors. Kids Workshop is also open to celebrate birthdays, exclusive events, and other special occasions with family and friends. To save more money and get loads of discounts as well as enjoy perks and freebies, I encourage you to enroll your child in the Kids Fun Club. 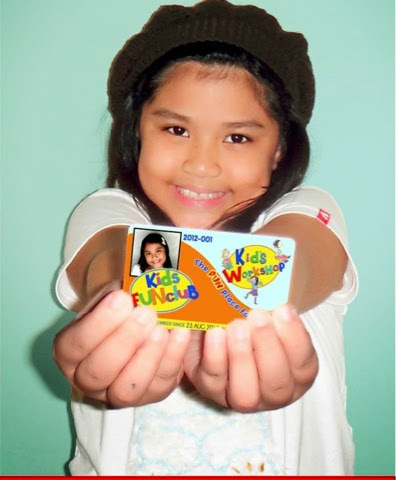 Membership to Kids Fun Club entitles one to discount coupons. 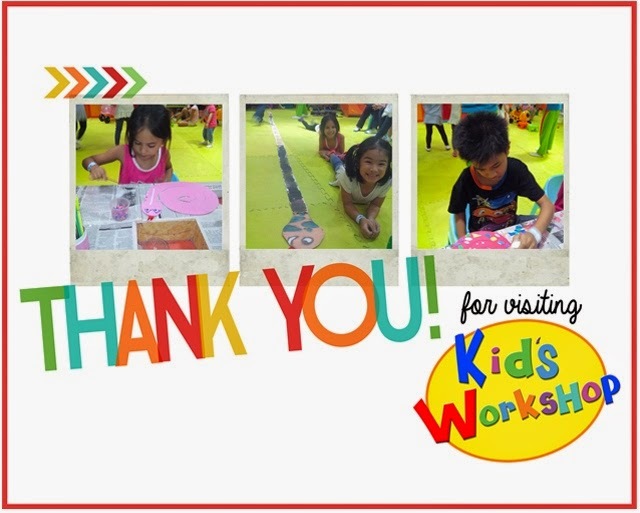 Members can use the discount coupons for KidsPlay, KidsArt, KidsParties, KidsPlayDates and for the renewal of membership. Discount coupons are transferable except for 2 coupons. 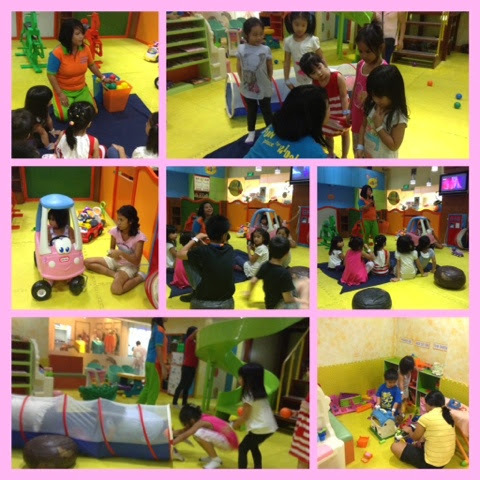 Members get 15% + 5% off on KidsParties + a free 30 minutes extension if the party is held from 10 am – 1230 pm. 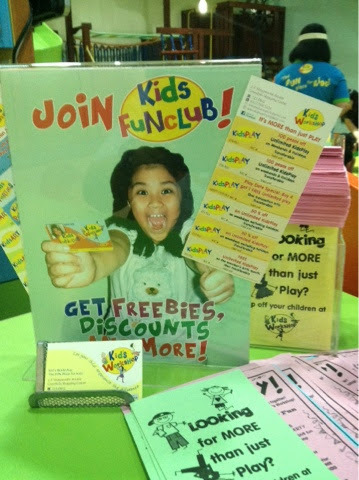 Members may attend an annual KidsFUNclub Get2Gether at 75% off. Invited guests get 50% off. Icy and Kyle went home that night filled with wonderful stories about their play experience at Kids Workshop. In fact, when Icy's name was called, it was apparent that she didn't want to leave yet. And we were surprised with a gift from Kids Workshop--they've given Icy with a free membership to Kids Fun Club! 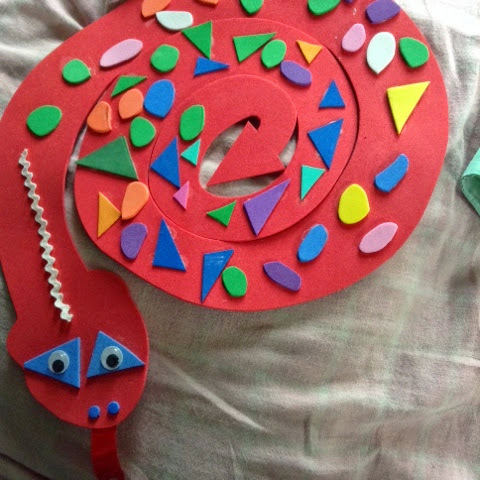 The kids also brought home the embellished foam snake cutouts that they've made during kids art session. And as a parent, I felt happy to see the kids with that sense if awe and wonder in heir eyes--that kind of joy that nobody can buy. 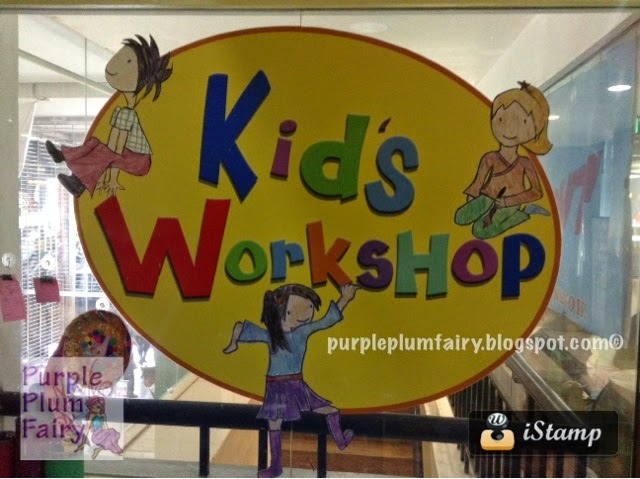 Drop off your children at Kid’s Workshop and let them have their own kind of fun. The only thing you'll have to think about is how to haggle to get that cute skirt you've been jonesing for. 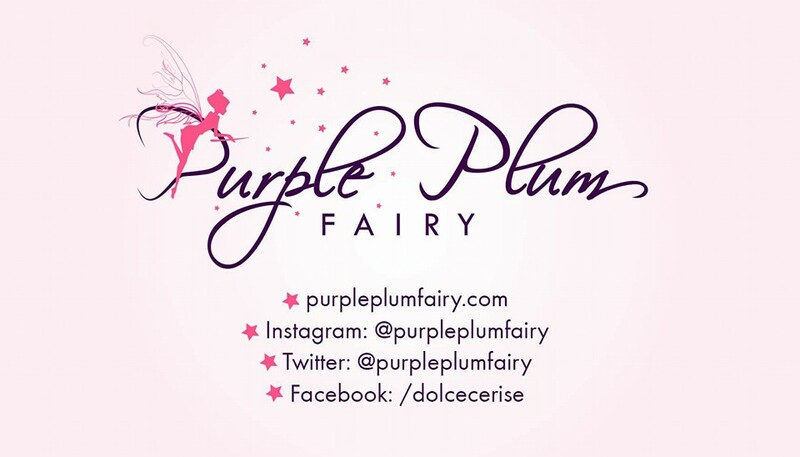 Special thanks to Mommy Bloggers Philippines. Photo Credit: Some photos were taken from Kids Workshops Official Facebook Fan Page.